Each Jenny Krauss product is a unique work of art with colors and textures that were embroidered by Peruvian artisans. 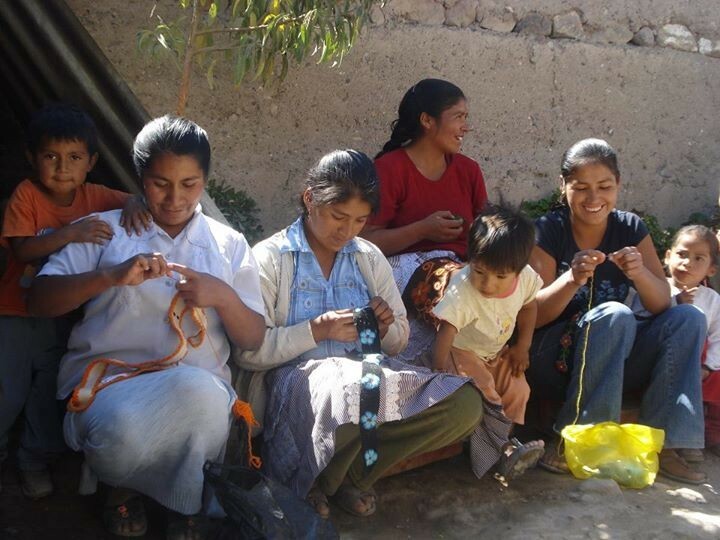 The artisans are mostly women in poverty stricken rural areas with very few opportunities for employment. By working for Jenny Krauss, the artisans earn a living wage in a safe environment (usually at home with their children nearby) without pollutants or toxins. Jenny Krauss is committed to sustaining their traditions and livelihoods through artistic collaboration--handmade, fair trade, and eco-chic.